Well, friends, Easter is just a few short days away and Spring has finally arrived. This is the first week that I don 't see rain anywhere in our next week forecast and it feels like Spring. Upper 70's yesterday, I was able to have all the windows open and give the house a real nice airing out, that you can only do at this time of year. I sincerely hope that you are all Blessed by the message of the Easter celebrations with the truest remembrance of what Christ did for us. He Is Risen! Such a powerful statement, and thankfully, and ultimately signifying our own personal salvation. Happy Easter, indeed! The rains have finally stopped, at least for now, and Sring is evident everywhere I look. That beautiful scent from the blossoms of cherry trees and my very own star jasmine is simply intoxicating. As much as I love the winter and the rain, there is something very magical about this time of year. A time for rebirth. Birds chirping everywhere, life is good, as my father would say. Welcome back to our Thursday Favorite Things party! If you are new, her, come on in and enjoy the glorious inspiration and creativity. Onto your features from last week's party! 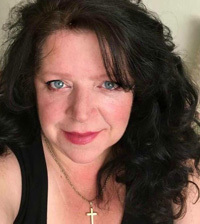 Kay from Loving the Home Life's insightful Creating Beauty at Home: Why it Matters post is a wonderful and fresh perspective that really resonated with me. A wonderful reminder that God's beautiful colors are all around her (and those who visit). This was a wonderful post to read, definitely worth your time, pop over and enjoy her beautiful perspective. Thank you for joining me this week friends, I'm afraid I'm running a little behind, so I am going to keep my intro short and sweet. I LOVE everything you all are sharing. SO much wonderful inspiration, you truly make it impossible for me to choose. 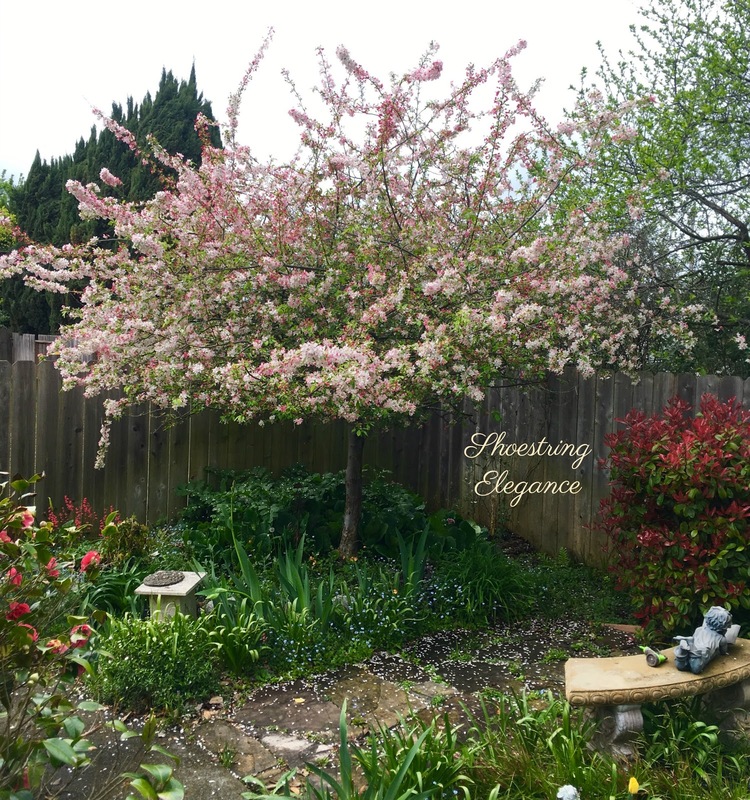 This week I got back to writing and blogging with A Very Different Spring... (And, Why I Haven't Written) I'd love it if you'd give it a look. Because you all should be featured, let's just say these are a Gorgeous representation of all your talent! Enjoy and pop back and look over some of last week's incredible offerings! For many years now, I have shared with you the promise and hope of Spring by taking you on a walk in with me, either my mother's garden or my own, like "A Walk In My Mother's Secret Garden...Promises of Spring". It's just breathtaking and has always been something I love to share with you. Friends, this year is very different around my Mum's house and in my life, for that matter. If you have noticed that I haven't been writing new pieces very often or sharing many new projects, lately... firstly, thank you for following along with me anyway, and secondly, there is a huge reason why and I hadn't been ready to write until now. Hello friends, welcome back to the TFT (Thursday Favorite Things) weekly blog party. Every Thursday (through Saturday) blog writers and blog readers gather together to celebrate the joy of blogging by sharing all their awesome creative ways. There were so many wonderful things shared at the party last week, but I just loved these wonderful nods to the upcoming Easter celebrations. So many gifted inspirations for all things Easter! Here are a few that turned my head! Erin at My Mommy World's Rustic Easter Wreath is just too sweet for words. I'd be proud to hang this on my front door. Happy Spring, friends. I hope you all are getting a little break from the colder temps and are able to enjoy the beginning of the new Season. It was a mixed bag, here, today. The first day of Spring started with heavy rain, but by 11:00 am it gave way to sunny skies! It was a wonderful way to celebrate the day. So, welcome back to the Thursday Favorite Things party. I'm so very happy you are here. I was looking for all things Spring and you did not disappoint. Mel from Decor Craft Design did! Her DIY Spring Lace Tin Can Mug Flower Vase is adorable and the handle was the perfect touch. Love this! Hi friends. Welcome back to Shoestring Elegance and this week's Thursday Favorite Things Party! We are now, officially, less than a week away from Spring! Where has the year gone?! It's still pretty chilly here, but the rain has stopped, at least for now, and there are some beautiful signs of Spring around! Always such a wonderful time of rebirth and, of course, brings Easter ever closer. The birds are chirping, the blooms are blooming, what more could we want?! Which brings me to the features this week! I just had to go with all things "Spring Blooms" represents and you ladies sure didn't disappoint, so much talent and inspiration! Thank you so much for being here and sharing all your gifts. Now, on with the Features from last week's party! 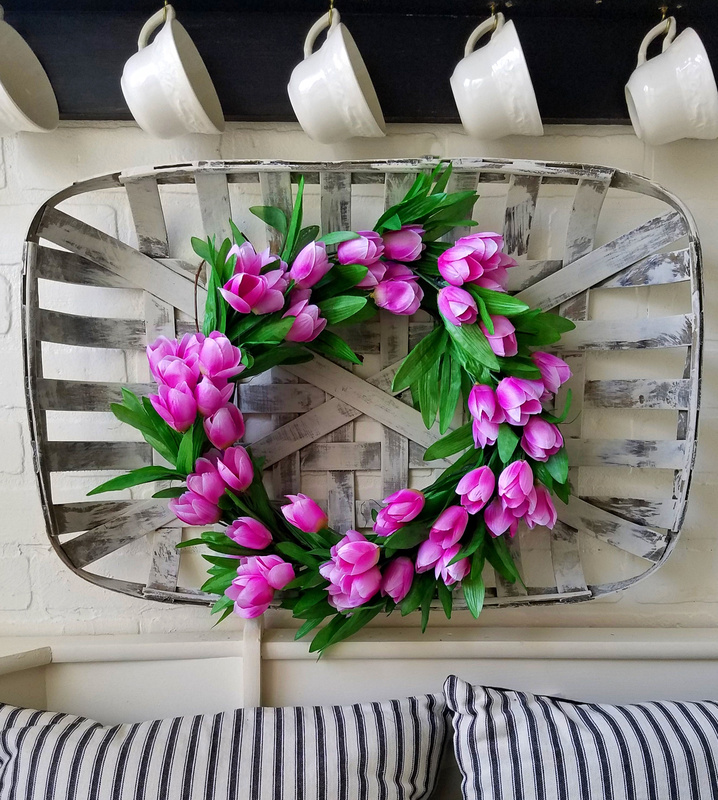 First off, Amber from Follow the Yellow Brick Road's Easy Dollar Tree DIY Spring Tulip Wreath for Only $10.00 is simply divine, elegant and simplicity at it's best! I'm thinking I better get at mine. Shabby Chic, Country Cottage and Lots of Spring DIY Inspiration This Week @ The TFT Party! Hello friends. Welcome to all things March and beyond! I'm so pleased you could join me and Katherine and all the other beautiful co-hostesses from Thursday Favorite Things! We sure have fun enjoying all of your awesome creations. The Inspiration you all provide is unbelievable. I'm still a little slow going here, but you guys are knocking it out of the park! Let's see your Features for this past week! 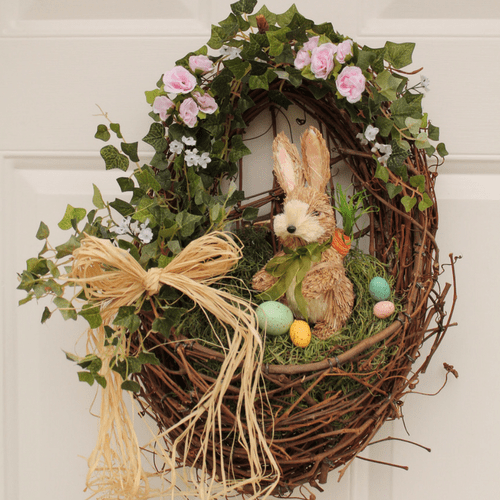 Cherryl from Farm Girl Reformed shared a wonderful roundup of 25+ BEST DIY Easter Decor Ideas. I just loved them all! 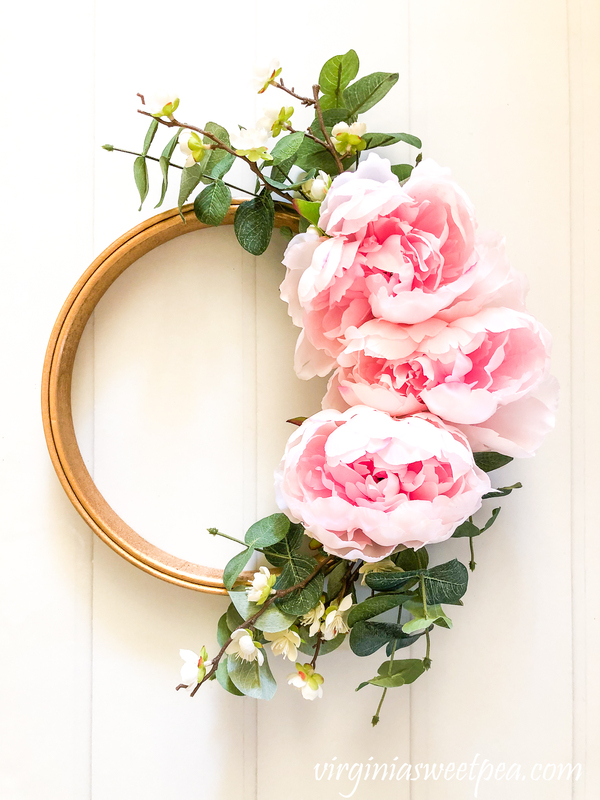 This Spring Cupcake Liner Flower Wreath from My Pinterventures was so unique and fun! 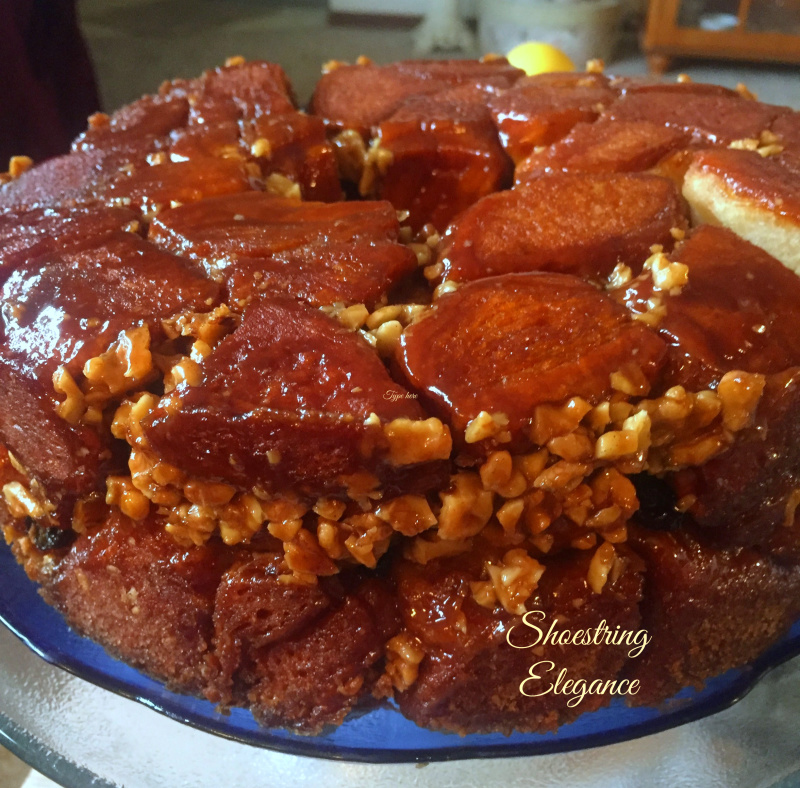 To start of this week, Jessica James' Gluten Free Strawberry Coffee Cake looks simply yummy and a perfect recipe for those who are wanting a taste of Spring. Good morning, friends. It's a nice, chilly morning and what better thing to do on a chilly day than bake something yummy to share. 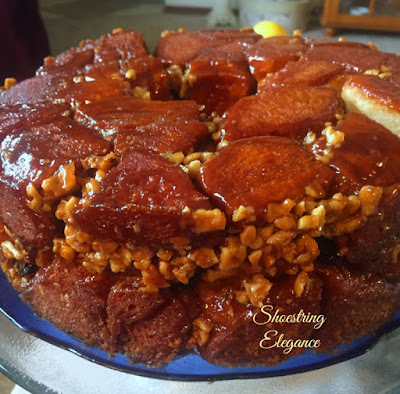 I shared a picture of what I was baking the other morning on Facebook and Instagram, just because I love it when something I enjoy so much turns out so pretty and tastes so yummy. I must say I was surprised at the response. I guess this recipe isn't a given for a lot of people. It isn't much work, really. My family has made some version of his over the years, I have, just recently, realized that there is one specific way I enjoy making it at my house, that I guess is a little unique. It couldn't be better for these cold winter mornings. Dear friends, it seems I am always a ' dollar short and a day late' lately! Please bear with me. I haven't forgotten about you or all the talent you share with me last week. I'm needing to proudly wear my "BPGIFWMY" my churches acronym for "Be Patient God Isn't Finished With Me Yet." Okay, enough talk from me. If you have linked up this week yet, please Click Here to add your link to this week's current party. You still have all day today! If you are Featured below, congratulations! Thank you so much for joining and sharing with us! Hi friends, so sorry! Can you believe I was on the wrong day, all day yesterday and today, so far! My sincerest apologies! I'm going to get your link up and get back to you this afternoon with your beautiful features! Please check back! I have been pinning your wonderful posts all week!! 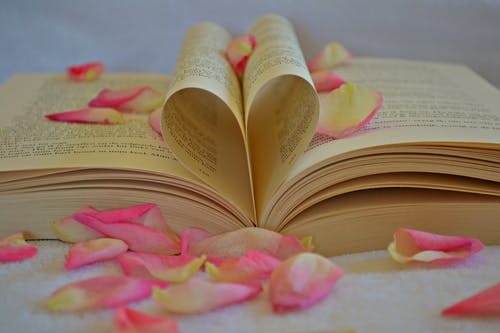 Wishing you all a beautiful valentine's day. Good morning and welcome to this week's TFT party! no theme this week, just a lot of talent and beautiful Features to share with you. There were so many, I scarcely knew where to begin! It warmed up a bit today here, after a record-breaking, once in 11 years, snow!! 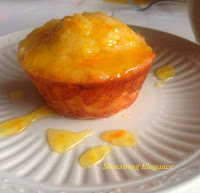 that got me in the Spring mode and I baked up a batch of my Fresh Squeezed Orange Juice Muffins-Springtime in a Muffin! If you're needed a little taste of Spring you may want to pop over and get a taste of these. I think Pam from Everyday Living is feeling the pull for Spring as well with her absolutely beautiful Toile Pink & Roses pst. POP over, she has so much more beauty to see, it was difficult to pick just one image to share with you!